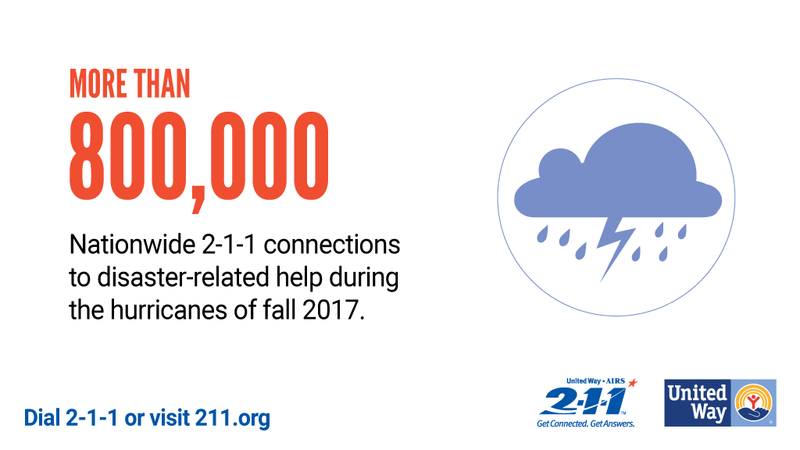 2-1-1 is an essential component of homeland security and can help communities rebuild after terrorist attacks or natural disasters. In the event of a community emergency, 2-1-1 acts as a critical communication link between emergency management professionals and the public-at-large. By the very nature of the 2-1-1 system, NJ 2-1-1 is perfectly positioned to respond immediately during times of crisis. It is structured to manage the expected high volume of crisis-related calls and the 2-1-1 staff is trained to direct callers to services most appropriate for their needs. When Hurricane Irene made landfall in August 2011 followed by Hurricane Sandy in October 2012, we provided critical and timely information that connected government officials, agencies providing care, and callers in need. In response to each disaster, NJ 2-1-1 maintained a real-time resource and recovery guide that changed hour-by-hour to assist the public in finding available resources. Associated web pages were updated multiple times daily in an effort to reflect the ever-changing response to the storm and the recovery efforts that followed. In the aftermath of each storm, we worked closely with the VOAD (Volunteer Organizations Active in Disasters) community to inform them of the needs expressed by callers and in-turn learned from this group what services were available. With this knowledge, we were able to provide callers with relevant information as they struggled through initial recovery efforts. Citizens are still recovering from Hurricane Sandy and NJ 2-1-1 is still providing relevant information as it becomes available. Citizens and emergency responders have grown to depend upon NJ 2-1-1 serving in this intermediary role. From August 25 - September 23, 2011, over 24,000 people visited our website, we responded to 4,148 disaster-related calls and participated in daily VOAD phone conferences. From October 25 - November 23, 2012, our website received close to 129,000 visitors. From October 27 - December 4, 2012, our call center responded to 14,501 calls for assistance. We continue to be a part of long-term recovery teams and now have staff in the field dedicated to assisting in recovery efforts. Following the devastation that resulted from seven hurricanes in 2005, Palm Beach County, Florida approached NJ 2-1-1 to back-up their 2-1-1 system during hurricane season (June - November). It was agreed that in an emergency, NJ 2-1-1 would handle call volume from Palm Beach and the four surrounding communities. Following Hurricane Wilma 4,000 calls were handled. In 2006, 2-1-1 handled call volume for 14 hours during Hurricane Ernesto. Our coverage enabled Florida's call center staff to concentrate on preparing themselves and their families for the storm. This kind of assistance is offered behind the scenes whenever severe weather is forecast anywhere in the country. The growing network of 2-1-1 call centers with staff who have been trained to respond in times of emergency help to keep citizens and VOAD members in every part of the United States better equipped to respond and recover. There are people struggling with personal challenges throughout our state every day and there are services designed to provide assistance. NJ 2-1-1 is the conduit that brings them together. 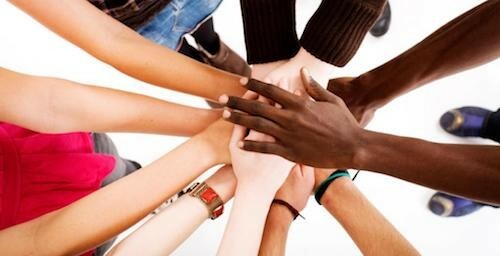 Whether one is dealing with homelessness, food shortage, financial instability, unemployment, depression, addiction, etc. our call staff is available 24 hours a day, seven days a week, throughout the year. In 2017 NJ 2-1-1 responded to 458,134 requests for assistance.